O God, be at the heart of our parish and in all our hearts. Strengthen our faith and our hope in Your promises. Grant us a spirit of self-sacrifice, so that, with Your grace, and by the power of the Holy Spirit, we may radiate Your love to everyone we meet. Help us to reach out with joy and mercy, to build a loving, healing community. We ask this through Christ Our Lord. Amen. Our Parishes are Pastoral Responsible for…..
a considerable portion of the City of Gloucester and some villages and countryside beyond its boundaries. Within the City of Gloucester this responsibility alphabetically is made up of: Abbeydale, Abbeymead, Coney Hill, Kingsway, Lower Tuffley, Matson, Podsmead, Quedgeley, Saintbridge and Tuffley. Outside the City of Gloucester boundaries this responsibility includes the villages of Hardwicke, Elmore, Longney, Haresfield, Upton St Leonards, Harescombe, Brookthorpe and Whaddon together with parts of Edge, Standish, Epney and Moreton Valance as well as houses in the surrounding countryside and in Madams Pool south of Hempsted. Welcome to our new parishes website which has come together thanks to the Diocesan Communication officer Phil Gibbons help and a team drawn from both parishes. The website is by no means finished it will evolve over the coming months and years as the two parishes of English Martyrs, Tuffley and St Augustine’s Matson have since they were founded in 1947 and 1962 respectively. If you have any suggestions for the website please use the contact form below. Please consult the latest newsletter for mass times and other things happening in the parishes and beyond. I would like to welcome any new parishioners who have moved into the areas for which we have pastoral responsibility and very much look forward to seeing you at one of our Sunday or weekday masses or at forth coming events where you will also receive a warm welcome from the parish communities of either church. 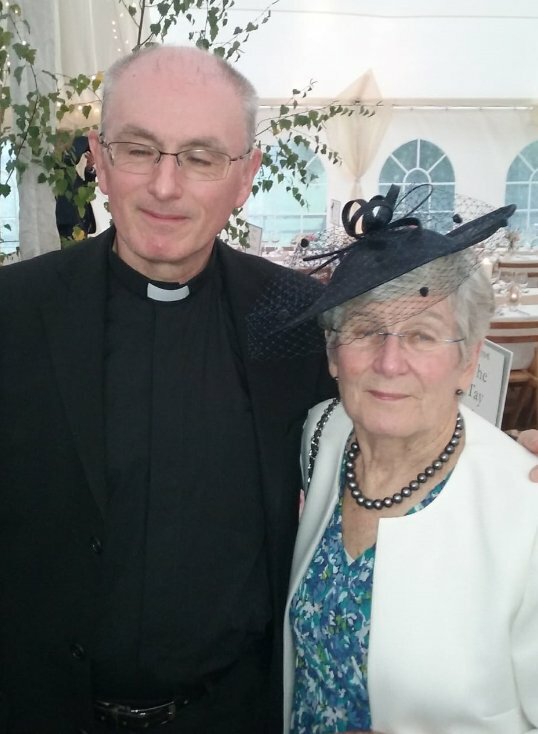 For those of you who don’t know me I was ordained on 22nd June 1996 by Bishop Mervyn and have served in Clifton Diocese since then as Assistant Priest in Holy Rood, Swindon and St Peter’s, Gloucester and Parish Priest at St Joseph’s, Portishead. I was appointed Parish Priest of both English Martyrs, Tuffley and St Augustine’s, Matson in January 2016. Get all the readings from Universalis for today and tomorrow.